This is the year of the streak buster! Michigan broke their losing streak to ranked opponents on the road dating back to 2006. Now lets end this losing streak and get a win in C'bus!!! LSU has a freakish defense that Don Brown could easily love. That's why the spread is what it is. Remember, the game is in Baton Rouge, too. I thought tOSU would roll coming off that huge loss and a bye, at home against a 6-loss team, but they are about to give up points and trailt at the half. Two fumbles by the Bucks haven't helped. Wouldn't that be awesome! Go Big Red! With the way OSU is playing. Whats the line gonna be next week vs MSU? MSU at home in November has been on point is last few years. It would be really weird if the Bucks lost another game, leaving THE game about little more than bragging rights. As they say, the objective every season is to win the conference first and foremost. Then worry about beating rivals and making the playoff. Oklahoma trailing at the half in Lubbock against an unranked team. The next ranked team they beat this season will be the first. Beat tOSU & win the B1G Championship game. Do that & this team is legendary. Everything else is gravy. Somewhat related; Is the LSU O really this bad or is the Bama D this good? Not surprisingly, Florida isn't for real. Losing by 3TDs at home to unranked Mizzou. That was Missouri's first conference win this season. My 10 year old boy keeps saying: “they don’t play defense in the Big 12”. Wisdom from the obvious... smart boy. MSU 31 OSU 17 Meyers on Retirement watch going into "The Game"
100%. I honestly don't care about the playoffs (and from what I'm seeing ain't NOBODY beating 'Bama anyway). This is ALL about beating OSU and winning the B1G Championship. Michigan is on pace to be #1 Defense by a HISTORIC gap.... were 40 yards ahead of any other team right now thats sickening. If anyone can slow/stop Bama Its Michigan. but i'd call it Bama 28 Michigan 17 but don't think we can't hang. I text a very optimistic UM fan friend of mine during the Bama vs. LSU game last night. Not sure if he he’s right or wrong but I thought his perspective was worth sharing. If for no other reason than it’s comedy value. As I stated earlier however, tOSU & the B1G Championship that’s all that really matters. If any D is going to be able to stop Bama it’s ours. If we can’t then nobody playing on Saturdays can. The truth is alot of talk about Urban's stress level around this whole mess has caused his actual condition of brain cysts to get worse. causing debilitating headaches that caused him to during the end of one game take a knee on the sidelines. "This includes aggressive headaches, which have particularly flared up the past two years."" he's worth millions why not retire have low stress and live a happy life vs risking causing more damage and stroking out on the sidelines. OSU opens as a 5.5pt favorite. I'm still not sold on Alabama being totally unstoppable. I heard a good take on by Desmond Howard on Mike and Mike this morning. He made the point that the worst thing that could have happened to LSU was they intercepted Tua taking over at their own 4 yard line late in the first half when the score was still only 9-0. 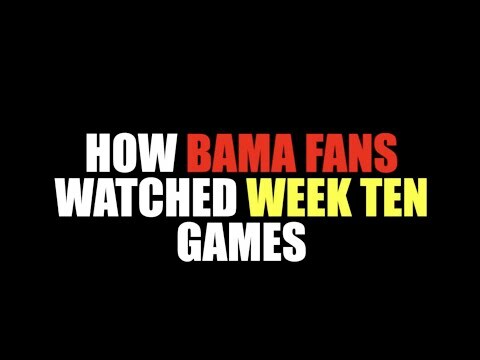 Bama was able to hold an inept LSU offense to a 3 & out and got the ball back at midfield and then proceeded to score a TD with a short field making it 16-0 at halftime and game over. He felt if LSU could have just got into the half at 9-0 that game could have been different. To add to why I'm not sold on Bama doing the same thing to us as they did to LSU, I think Michigan's offense would be more apt to score on Bama's defense than Joe Burrow and LSU! The way Michigan likes to control TOP, sometimes the best defense is keeping Tua and that explosive Bama offense on the sideline as much as possible! And as good as LSU's defense is, I don't think they can match what Michigan brings with their defense at every level (up front, LB's and secondary). What sets Michigan's defense apart is how good their front 4 is at getting to the QB with just sending 4! Not to mention how much deception there is when they do bring it!!! I don't think Tua has faced anything close to what he would see with Don Brown and that Michigan D!!! Not that I really like getting ahead of myself because beating OSU is goal #1 at this point of the season!!! I'll echo the sentiments of those that whatever happens surrounding the CFP is gravy at this point. I want OSU and a win in the B1G Championship game first and foremost over everything else and we control our own destiny as far as those two goals are concerned!!! When is the last time Bama trailed a game? They gave up an early TD at Ole Miss, tied it about a minute later and then kept scoring. How will they respond if they fall behind a couple scores on a neutral field? These are kids after all. They are very good, and Clemson is very good, but I don't think either has faced an D like Michigan's. Granted, Michigan's D hasn't faced an offense like either of those teams, so who knows. The Big Ten used to be the Big Two and little eight. Well, the SEC championship game is already set after the first week of November, so how good and balanced is that conference? To be fair that is because of the SEC's little girl scheduling in Nov... where they take a week off to play little sisters of the poor. they have played 1 more conference game than we have atm. if OSU and Iowa loses and NW wins this week I believe Michigan vs NW would be all but set as the big 10 championship game too. They are very good, and Clemson is very good, but I don't think either has faced an D like Michigan's. Granted, Michigan's D hasn't faced an offense like either of those teams, so who knows. PSU was averaging 41 ppg and over 500 yards of offense coming into our game with them last week! Maybe not Bama or Clemson, but they've been putting up points on people and Michigan should have shut them out!!! What I'm tired of is how the national media is just falling over themselves over how Bama dominated LSU and pitched a shut out over the Tigers. LSU blows on offense so was that really all that impressive? LSU would struggle to break 100 yards of total offense vs the Michigan defense!!! Just for perspective, LSU ranks 103 in Total Offense, 85 in scoring offense, 62 in rush offense and 103 in pass offense. So color me unimpressed with Bama's shutout over that pathetic LSU offense!!! ND QB Ian Book will be out Saturday night against Florida State following a rib injury suffered against Northwestern. That sure does make +17 FSU a more appealing choice. Wimbush was terrible after the UM game. ACC love from the CFP committee just proved wrong again as no. 14 NC State goes down to Wake at home, against a first time starting, soph QB. How Florida only dropped 4 spots after getting clubbed at home is beyond me. I mean we dropped 7 spots after a right loss on the road to a higher ranked team.. the committees bias is so bad this year. Add LSU getting drilled and only dropping 4 spots?!?! How a 2 loss LSU is ranked ahead of 1 loss teams is beyond me?!? !